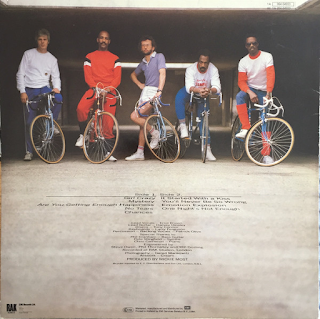 After two patchy albums from Hot Chocolate, this one, from 1982, was something of a renaissance and, although very much an eighties album, it is an energetic, poppy but appealing album. "Girl Crazy" is a singalong, lively opener that was unsurprisingly a hit single. "Mystery", while very much of its time in its synth/pop/disco rhythms is upbeat and ebullient. 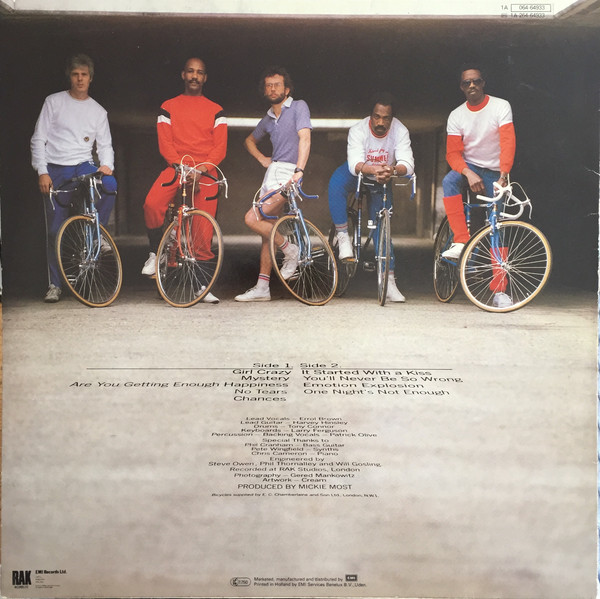 A strange inclusion, however, is "Are You Getting Enough Happiness", which was also on "Class", the previous album. Here, it is much longer and with additional, quirkier synth backing. Altogether it is the better recording of the track. It was released as a single but did not chart at all, whereas the previous one had been a minor hit. "No Tears" is an enthusiastic, toe-tapper of a number with a great Errol Brown vocal and an irresistible beat. The slow but stately "Chances" was a minor single hit and "It Started With A Kiss" (much loved of Alan Partridge) was a huge hit, the group's last really big one. It is a perfect pop song, something Hot Chocolate had always specialised in. As a fan from 1973, I remember hearing this, nearly ten years later, and feeling a sense of satisfaction that the group had returned with one more big hit. "You'll Never Be So Wrong" was also a single, but only a very minor hit. It was another attractive piece of pop/soul. "Emotion Explosion" is a typically eighties synth pop dance number. 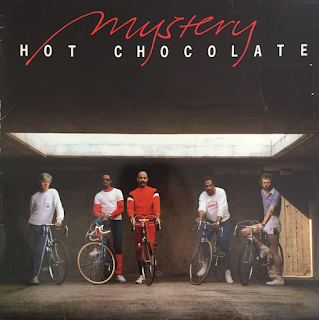 It is not really Hot Chocolate as I remembered them from their great days of the seventies, but all groups were affected by the eighties and drowned their songs in synthesised keyboards. "One Night's Not Enough" ends the album on a frantic Euro-disco note. The album is certainly not the match of their seventies work, but it is saved by its five excellent singles.